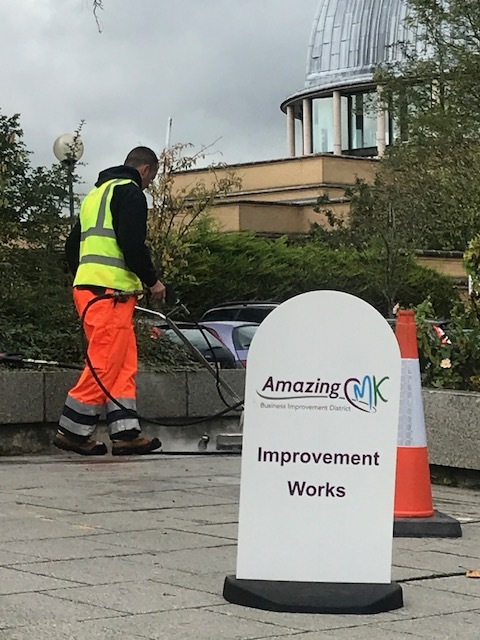 The first work paid for by the new “Amazing CMK” business levy has begun, with a deep-clean jet wash being undertaken on the underpasses under the junction between Midsummer Boulevard and Saxon Gate. The work is being funded entirely by local businesses, which earlier this year voted to impose a levy on themselves to create funding for additional works to improve the public realm in CMK. 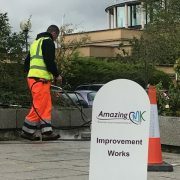 The work, including focuses on safety, cleanliness and encouraging activity, is in addition to the publicly funded landscaping work undertaken by Milton Keynes Council.